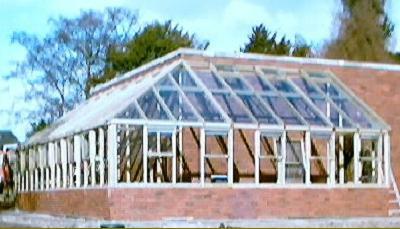 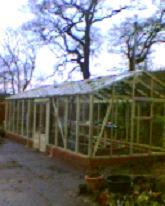 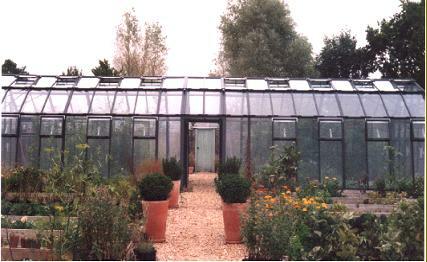 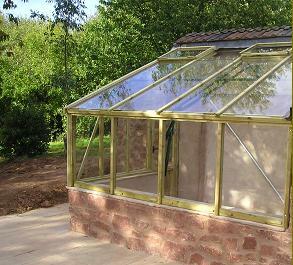 Special timber Greenhouses/glasshouses, bespoke made to your requiments. 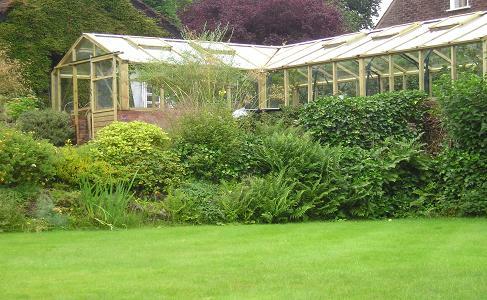 Specials, if you have a particular individual design or shape of structure you wish to feature in your garden, send us a sketch or drawing and will quote, working around the basic timber dutch light, structures. 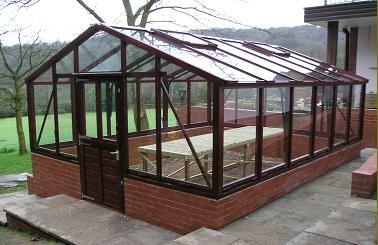 Staining / colouring is available to the standard pressure treated timber frames, this picture shows a special 12 x15 in a mahogany colour, please ask for quote.